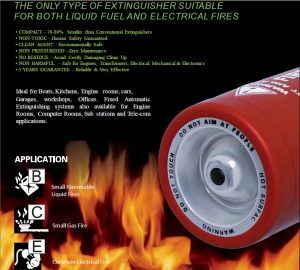 JE50 is such a portable and small fire extinguisher, it is often used by vehicle owners as a car fire extinguisher. 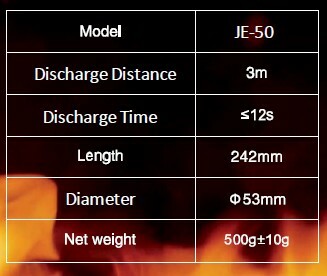 JE-50 is a single use portable fire extinguisher. The idea here is to prevent small fire from becoming uncontrollable huge fire. 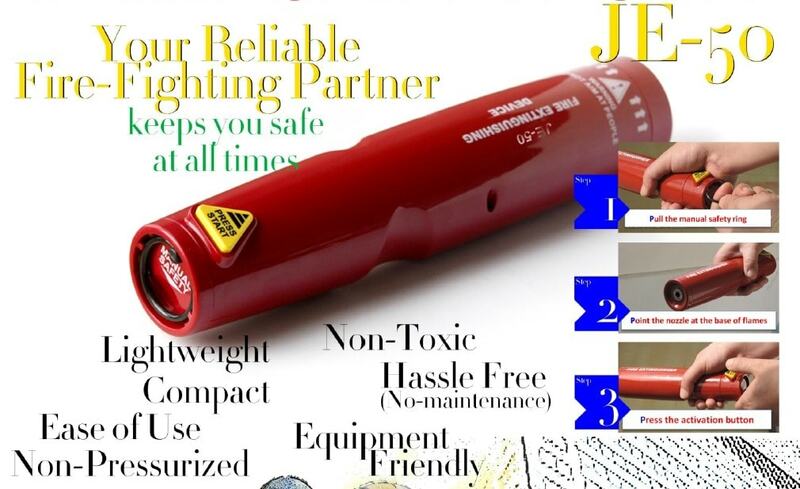 Make sure you have it when you need it.